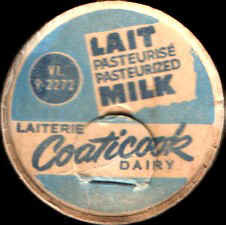 The dairy made it's debut in 1938, operated by Mr. A. Bédard and Mr. A. St-Cyr and was later incorporated in 1940. 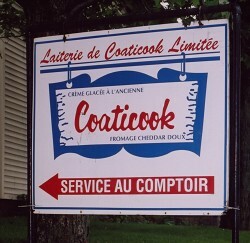 The first dairy, located on 45 Cleveland St. in Coaticook was very small and had been transformed at three intervals during the following years to ger to its actual size (1998). 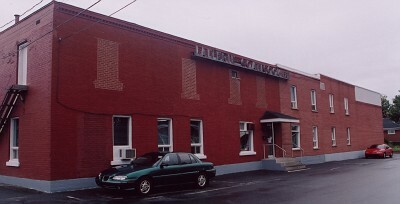 Adjacent to the building was a horse stable and shed for the delivery wagons. 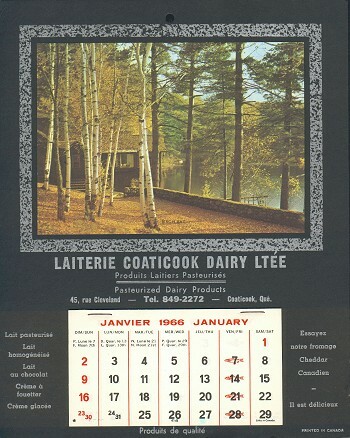 After a few years, Mr. Arthur St-Cyr retired from the business, leaving Mr. Bédard and his sons, René, Adélard and Paul responsibility of all operations. 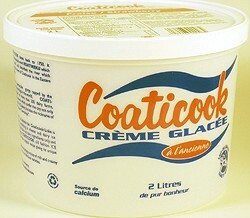 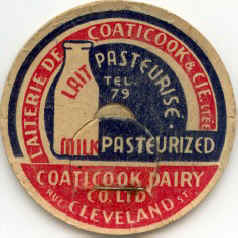 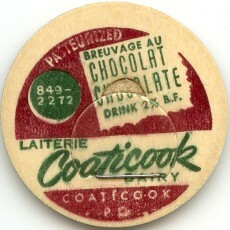 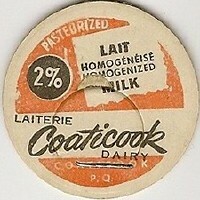 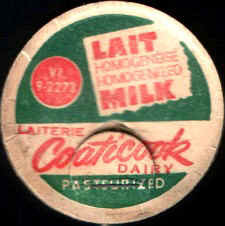 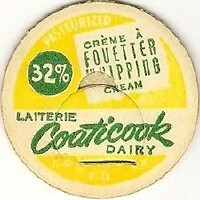 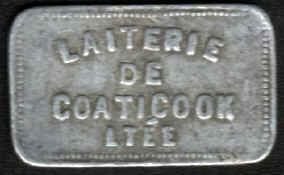 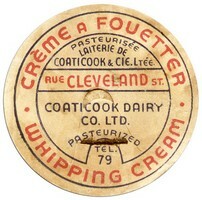 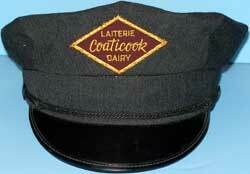 At the beginning, the "Coaticook Dairy Ltd." had a milk service to customers by wagon and horse; afterwards they manufactured ice cream, popsicles, revels, fudges, "Gouda" cheese and mild cheddar. 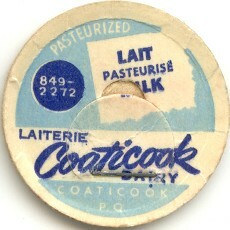 Local farmers were providing the dairy with milk. 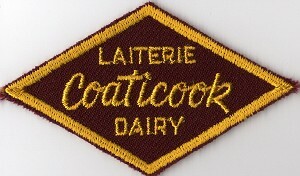 On april 17, 1968, Mr. Emile Provencher, president of the Coaticook Investment Society (group of 20 citizens of Coaticook) announced that the Society had acquired the "Coaticook Dairy Ltd". 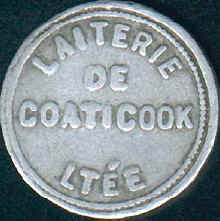 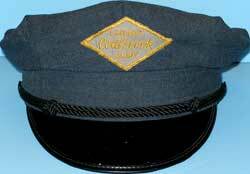 The direction and the re-organization of this enterprise was necessary due to new governmental centralization politics. 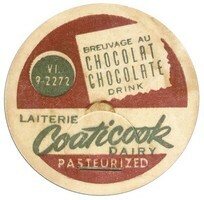 In 1976, Fernand Houle and Emile Provencher became the new owners of the dairy and a few years later the dairy discontinued the transformation and distribution of milk, cream and chocolate milk. 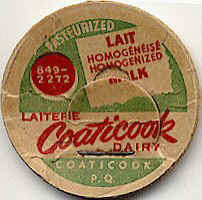 However the dairy continues the manufacturing of various flavors of ice cream, see Web Site, to answer to consumer's demand. 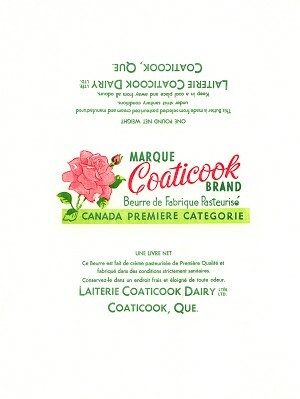 In 1989, Jean and Johanne Provencher became the new owners and insufflate a new dynamism to the company by the addition of new products.